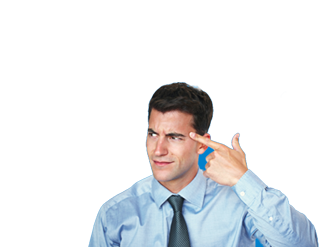 I know what you’re thinking – why does it have to be so hard to find a reliable telephone system? Panasonic telephone systems have been designed with businesses in mind, from small businesses to enterprises, they have a reliable system to suit your needs. Whether you are in search of a Key System Unit (KSU) for your small business, or a Private Branch Exchange (PBX) for your medium-sized business, or a modern Voice Over Internet Protocol (VoIP), Panasonic telephone systems can offer you a solution. A PBX system is feature-rich and utilises programmable switching devices to route calls automatically. These systems are appropriate for medium to large offices, from 10s to 1000s of employees. PBXs are very flexible, and you can find one to cater to the scale and needs of your business. VoIP is the latest innovation in telephone systems and also the most advanced by far. The most significant benefit of VoIP is that all its functionalities can be accessed via a computer. A VoIP system can have the same functions as a PBX, but most of the technology is hosted for you by your supplier, rather than being physically located in your office. Setting up a VoIP system can be costly as you will likely need new phones and perhaps some equipment. But ongoing call costs are low, and VoIP systems are very flexible, scalable, and customizable. Panasonic KX-NSX2000 is an IP-based business communication server for growing enterprises that need a flexible telephone system. 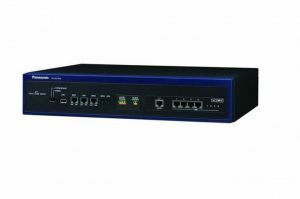 The KX-NSX2000 can act as a standalone system or connect to a network of servers. This is Panasonic’s significant move to bring IP servers into mainstream use. It can manage up to 2000 devices across up to 32 sites. It can be operated remotely and allows advanced IP networking, with automated back-up. As with all Panasonic products, you will have the ongoing support of the UC Pro team when you need it, and their digital application suite to develop your applications. Another centralised multi-site web-based PBX and UC platform from Panasonic proves their commitment to supplying businesses with excellent telephone systems. This telephone system supports IP and SIP protocols and can manage the needs of any sized business. This system provides collaboration technology, as well as bringing together email, voicemail, fax, and your call centre management. Panasonic’s Unified Messaging system helps your team to see all their communication channels in one place, so nothing slips through the cracks. The Unified Communication (UC) software has a desktop, Android and IOS versions so you can see your messages on all your devices. The system also comes with a softphone app so you can use your computer as a phone for video and voice calls. This product is considered especially useful for creating virtual teams across multiple network sites. The Panasonic KX-NSX1000 combines Unified Communications(UC) with SIP and IP networking protocols. This IP-PBX system allows for mobile technology collaboration, to make your business more flexible and agile. The KX-NSX1000 can stand alone or be bundled with a range of other Panasonic PBX servers. You can maintain the system remotely if needed. The system can support up to 1000 users across 32 sites. The Panasonic Communications Assistant software helps your team manage their calls and shows who is available for calls. The Panasonic KX-NS700 is an IP PBX built for growing small businesses. It is an excellent option if you are worried that you will soon need to upgrade your system due to growth, as this model can be expanded through licenses and add-ons. The Panasonic KX-NS700 can be extended to more than 250 users and can be used with a combination of legacy and IP telephones. This PBX is an alternative to cloud-based PBXs in case you want an in-house option with a one-off cost. A pure IP PBX model, the KX-TDE600BX supports a wide range of IP telephones. This scalable telephone system will grow with your business. The primary option provides for 192 users and can be expanded up to 640 users, giving you lots of room for expansion. 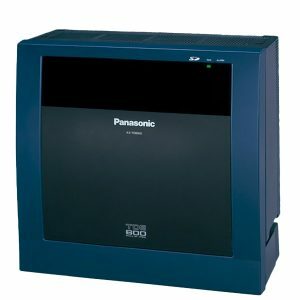 Panasonic KX-TDE600BX is easy to operate with centralised management & upgrades and simple reporting. Internal communication between sites is made easy by the ability to link together up to 8 units without an additional server. 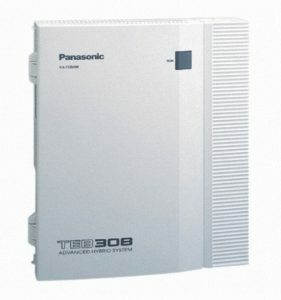 The KX-TEB308BX is an advanced hybrid system for small businesses looking for flexibility in their telephone systems. You can connect a plethora of devices such as cordless phones, fax machines, answering machines, modems, and even credit card verifiers. Finally, Panasonic designs telephone systems with every kind of business in mind, providing both PBX and VoIP systems. If your budget allows, it is highly recommended that you purchase a Panasonic telephone system that is scalable and can grow together with your business instead of having to buy a new system every time you scale up. Consequently, Panasonic offers highly scalable telephone systems at all budget ranges. What is a Telephone Exchange System?